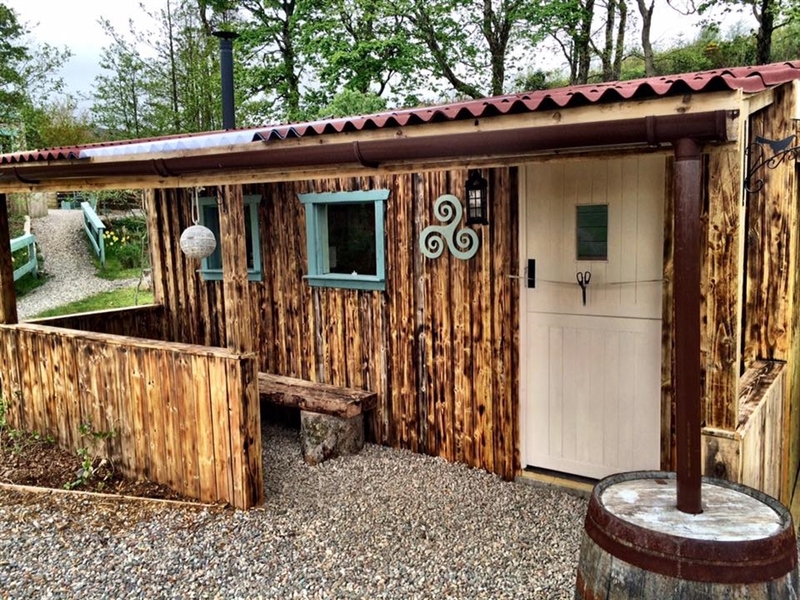 You will have your own fully furnished Cosy Cabin or tent which sleeps up to 3 adults or a family of 4. Each cabin & tent also has it's own fire pit and BBQ area to enjoy outdoor fires and sit under the stars with a drink or 2! 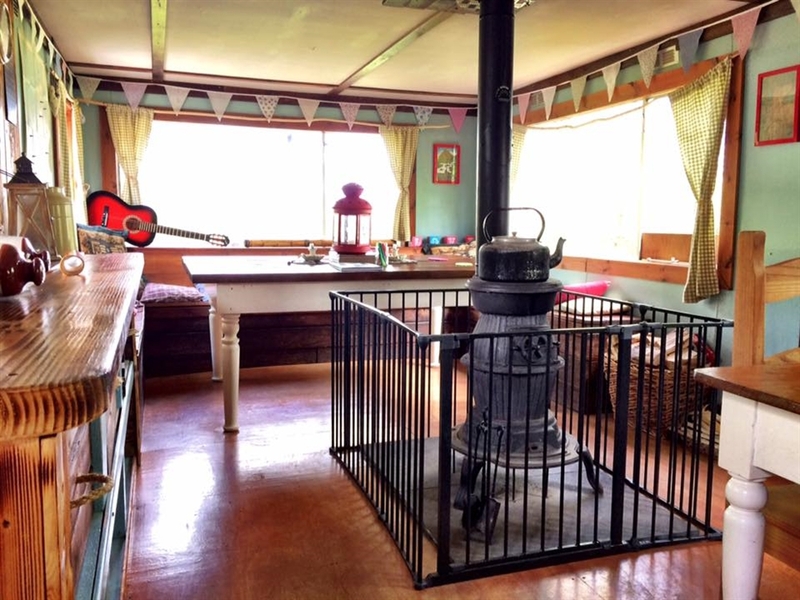 You will also have access to The Hub a social camp kitchen that is fully kitted out for all your cooking needs and furnished in a cosy style with candle lanterns and a wood burning stove for those cooler evenings. 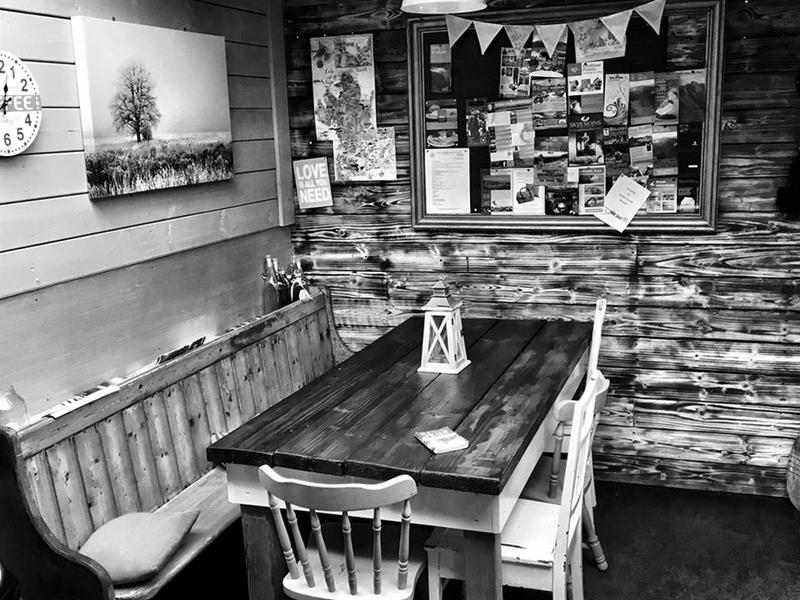 The Shack provides additional cooking/eating space and is convenient for making that morning cup of coffee to start your day of exploring. 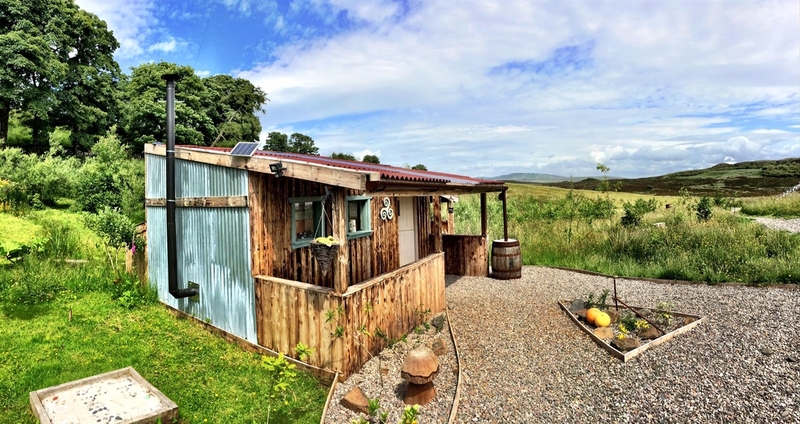 The site also has a unique greenhouse shower (towels not provided) and composting toilet that fit in with our eco credentials and reduce our impact upon the environment. Hi! 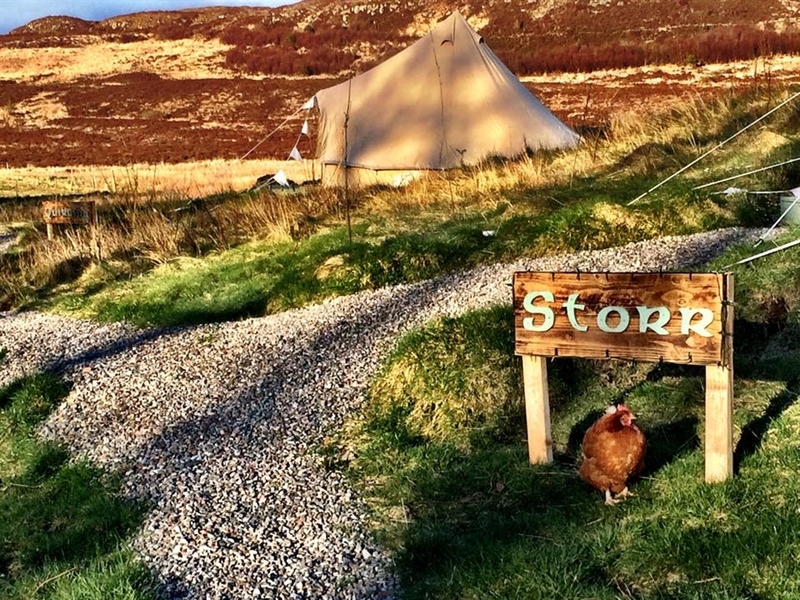 We are Scott and Nadia and would like to welcome you to Skye Eco Bells, a luxury off-grid camping experience, which we have built on our 9 acre smallholding on the beautiful Isle of Skye, to incorporate our passion for camping, nature and sustainable living. 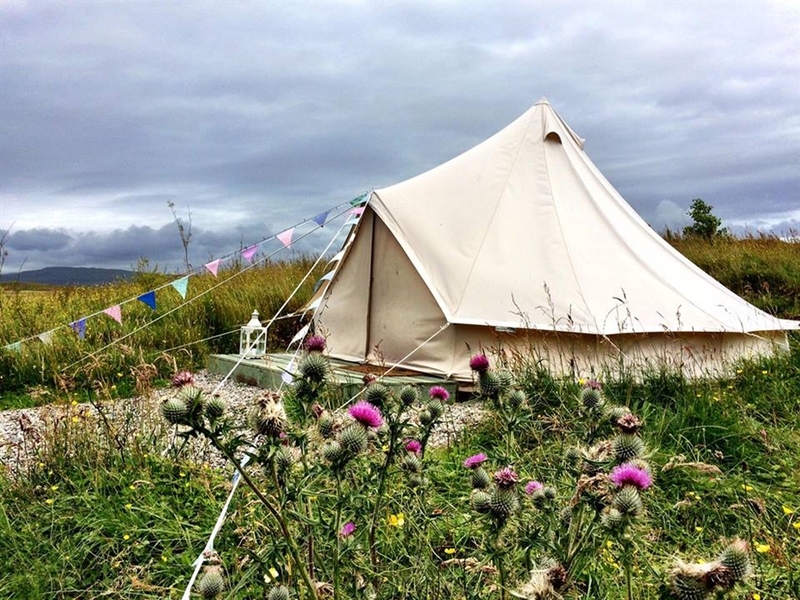 As outdoor enthusiasts, we have spent 20 years wild-camping throughout Scotland and the rest of the world and have grown to appreciate the comforts that can make a camping trip just that little bit more special and so Skye Eco Bells provides comfortable but low impact camping/glamping in 2 cosy cabins and a 5m Bell tent in a stunning location with sea and mountain views. 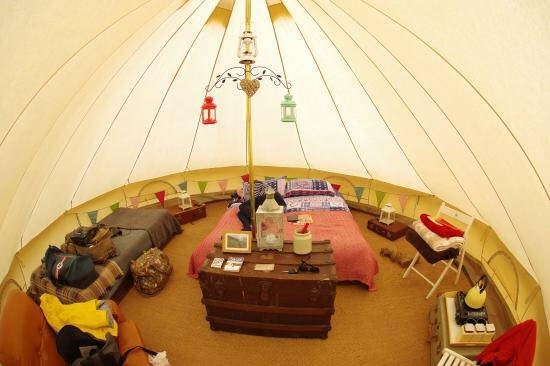 Our Bell Tent sleeps 3 comfortably, with a camp bed available for a 4th if required. Bedding arrangements are flexible and can be tailored to your needs whether a couple, family or group of friends. Bed linen is provided. 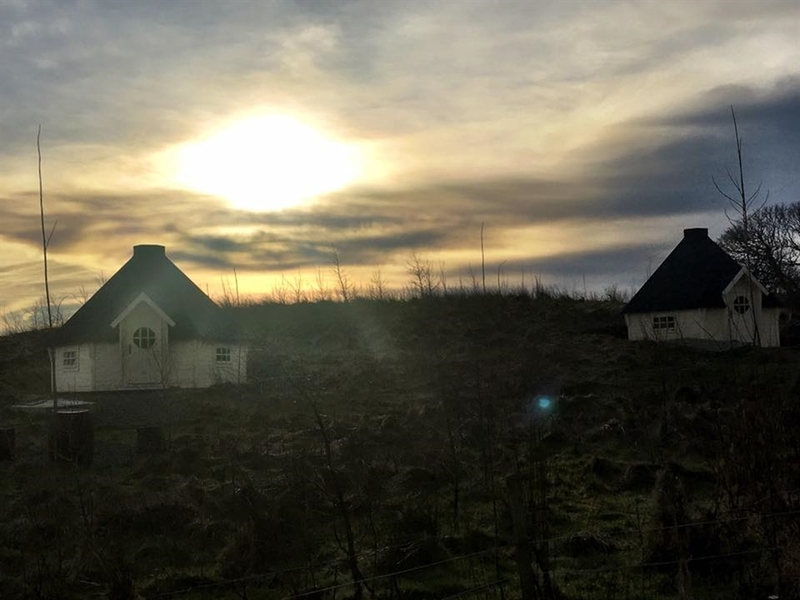 Our Cosy Cabins also sleep 3 comfortably with a double bed, a day bed with an additional trundle bed for a 4th family member, the cabins also have a woodburning stove for those cooler evenings and the first nights wood is supplied free. 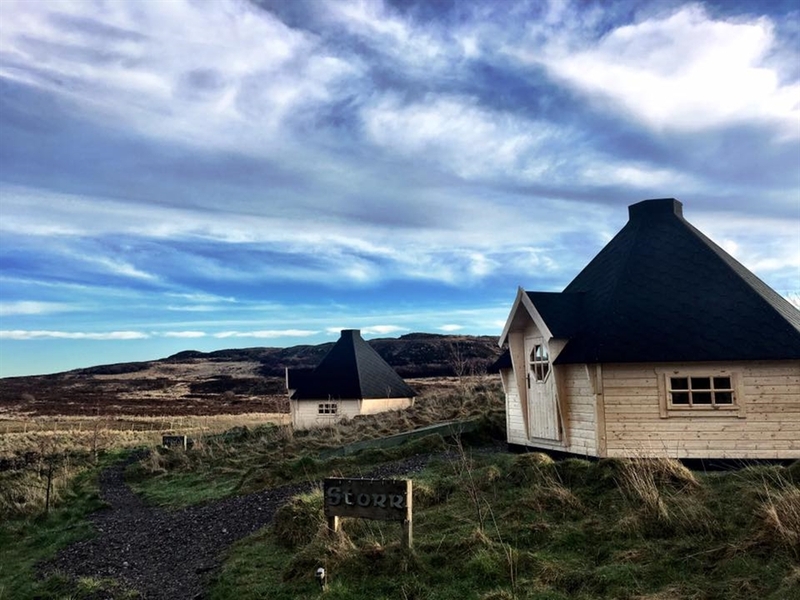 Skye Eco Bells has been created by re-using and up cycling as many things as possible, using everything from pallets and cattle troughs to the kitchen sink - literally! 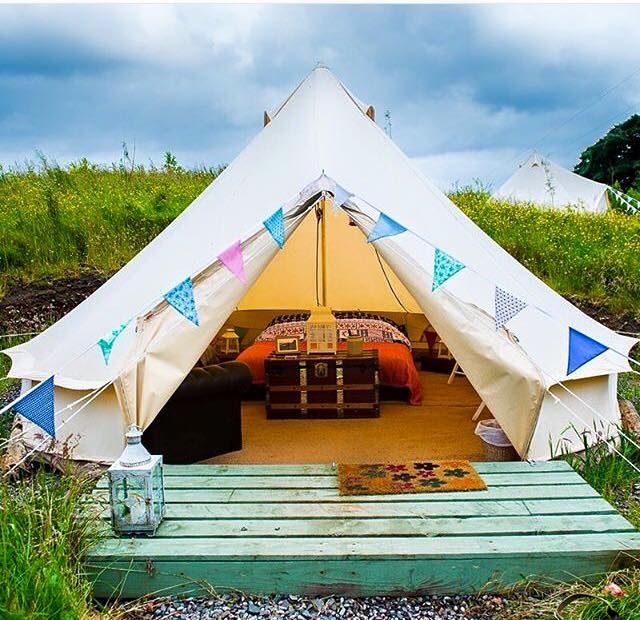 Skye Eco Bells is an off-grid eco camping/glamping experience that will make your holiday a memorable one. 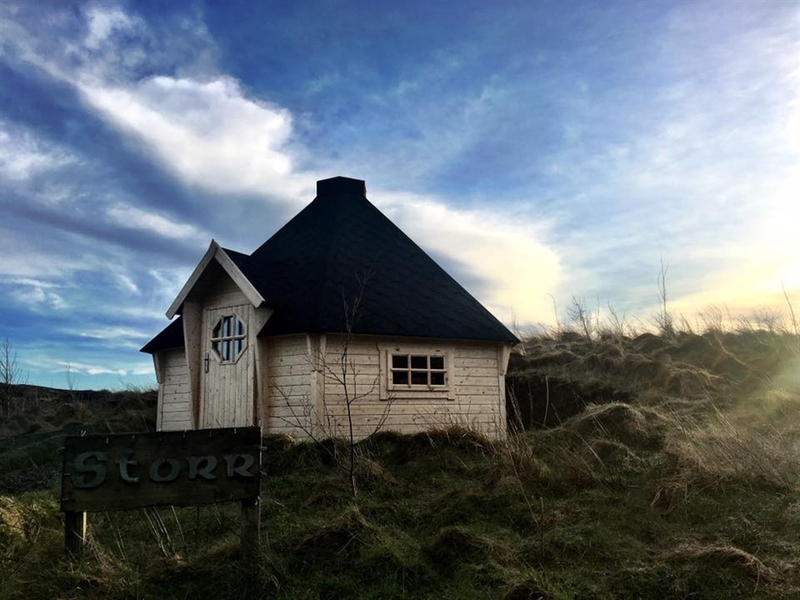 Think peace and tranquility, sitting around your own camp fire, enjoying a dram or two with friends in our two custom built Hub and Shack kitchen/dining areas or relaxing in the comfort of your own tent or cabin made cosy and comfortable with vintage and up cycled furniture. In keeping with our low impact ethos, the campsite is off-grid: we harness solar power for lighting as well as candle power. A solar powered charger is available to charge mobile phones. Toilets are dry composting and our unique and spacious shower room is supplied with luxury, biodegradable shampoo, conditioner and shower gel. 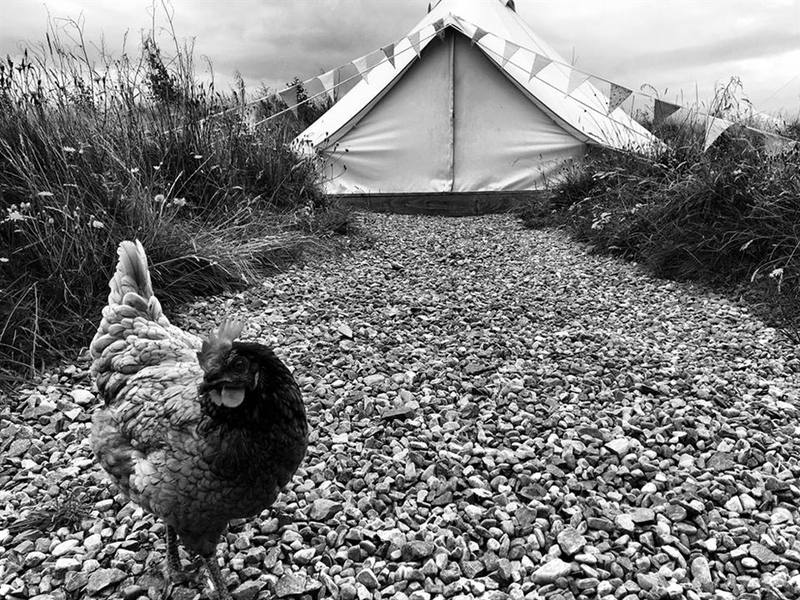 Depending on the season there may be fresh vegetables available from our organic veg garden and eggs from our flock of free range hens. The campsite is situated in an area which we are converting back to nature from agriculture. A large wildlife pond and extensive planting of hundreds of native trees are gradually creating a juvenile woodland which is drastically increasing the biodiversity of the area and encouraging visiting wildlife such as golden eagle, geese, herons, roe and red deer, foxes and otters as well as a host of small wild birds. 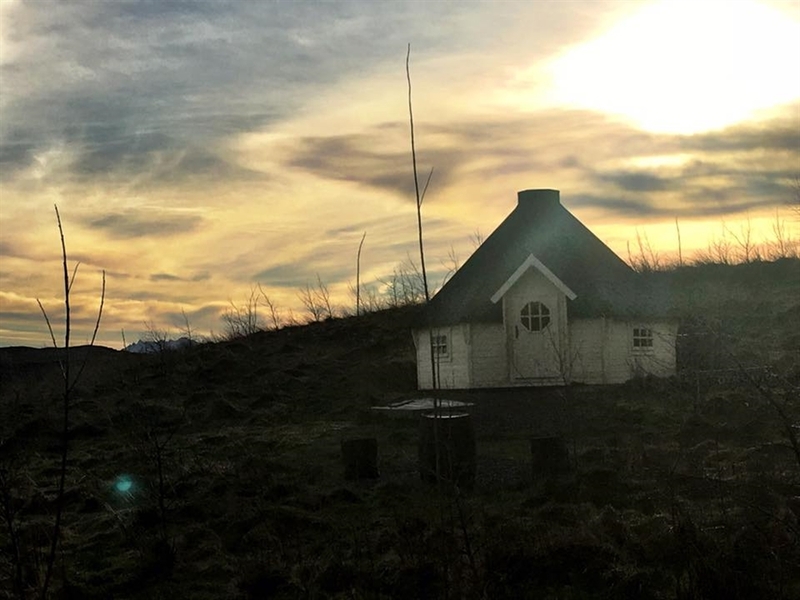 Should you wish to explore Skye’s many famous places of interest as well as its hidden treasures, we are happy to share our knowledge of the local area as well as discuss routes and conditions for those of you venturing in to the Cuillin or lower level walks.